The objective of Mission 14 in Africa is to rescue a British prisoner known as the Viscount. 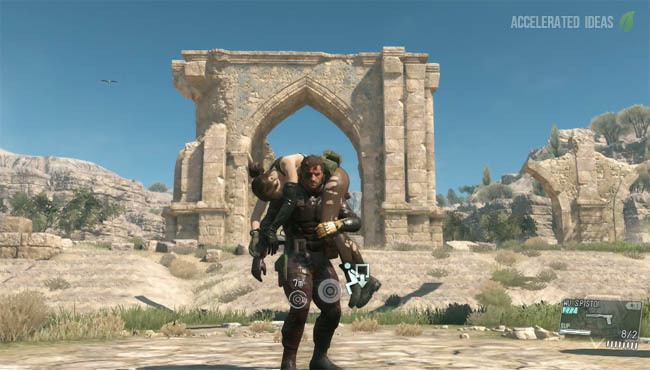 It's one of the hardest missions in the game, requiring a great deal of patience and stealth tactics. In this guide I'll show you exactly where to find the Viscount and safely rescue him. 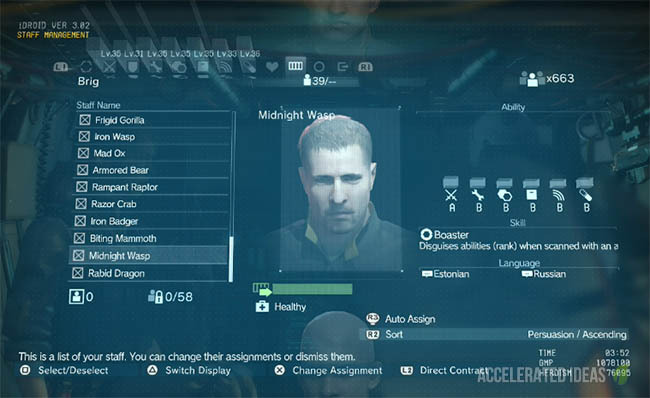 Upon starting the mission you're deployed not far from the first target - the interpreter. This bad guys speaks both Afrikaans and English, and you must follow him carefully as he moves from prisoner to prisoner to interrogate them. It's a slow process - forcing you to keep well back, use the binoculars and listen in on the conversation to learn more intel. As you can guess, the first couple of prisoners are red herrings. You can still rescue each of these prisoners, which in turn provides some intel on the situation. Unfortunately, I can tell you now that it's not enough information to locate the Viscount though. The thing to bare in mind throughout this mission is that the prisoner is a man, if you see the woman then you're on the wrong side of the map. Following the interpreter deeper into the base reveals more secrets about the Viscounts whereabouts and this includes the all important piece of information - he won't be interrogated until night. Yes, you've just been wasting your time up til now! It took me a couple of hours to get this mission done so to save you alot of wasted time I strongly recommend you follow this short guide to get it done quickly. It includes the exact location of the Viscount so you can jump straight in. 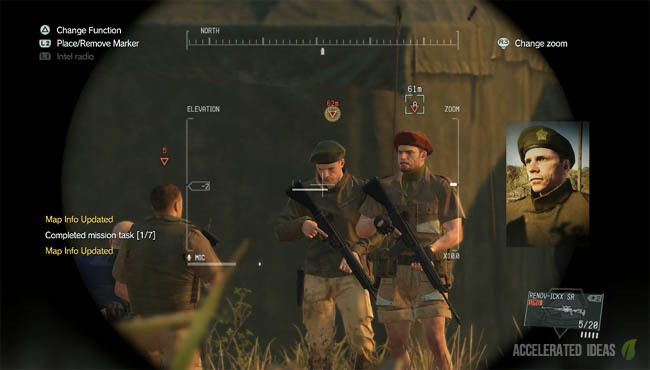 Start the mission, move well out of reach of the interpreter but mark him using the binoculars. He's the one with the red cap. Once he's tagged with a letter you'll be able to keep track of his location. 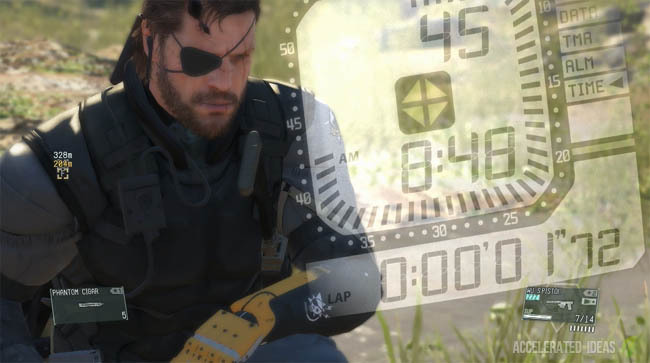 Now open the context menu and select the Phantom Cigar which allows you to jump time from day to night. Make sure the enemy won't find you to avoid being disturbed in this rest period and wait as the hours tick by. Wait outside this small hut and hide round the back. The interpreter should be inside the building already and the prisoner will either be inside too or will be escorted in due course. Now use a diversion to move the guards away from the prisoner, or climb through the window and use silent takedowns to get them out of the way. Now drag the Viscount round the back of the hut and Fulton him back to safety at Mother Base. It's dark so it shouldn't alert the other guards. The mission is almost complete now so leave the hot zone (blue mission border) and you'll soon see the mission reward screen. Remember, if you've got time then try and Fulton the interpreter as well because translation will help alot in the coming missions.